James Blundell. (January 19, 1791 Holborn, London – January 15, 1878 St. George Hanover Square, London). British obstetrician who performed the first successful blood transfusion. 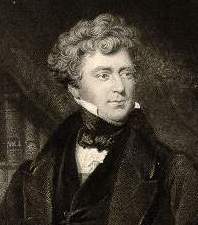 Blundell studied at Guy’s Hospital in London under his uncle John Haighton. Both men practiced obstetrics. He had also trained under Sir Astley Cooper, describer of Cooper’s Ligament. Blundell experimented with blood transfusion in animals. (Here is the original description of his experiments from 1818). In 1825, Blundell first performed a blood transfusion to treat a severe postpartum hemorrhage. He extracted four ounces of blood from the arm of the patient’s husband using a syringe, and successfully transfused it into the patient. He followed this patient with two more successful cases. Dr. Blundell also conducted many surgical experiments on animals which helped to advance the science and paved the way for adnexal surgeries including tubal ligation (first described and suggested in 1823), ovariotomy, and cesarean section. When he was criticized for experimenting on animals, he famously responded, "Strike, gentleman, but hear! . . .
which will you sacrifice, your women or your cats? "In 1827, in writings published in the Lancet, he accurately predicted the infectious nature of puerperal fever. A full account is contained here in his obituary from 1877. 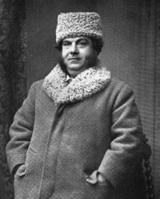 Ulf Svante Hansson von Euler. Ferdinard August Maria Franz von Ritgen. 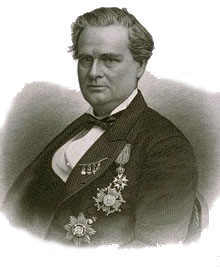 James Marion Sims. (January 25, 1813 Hanging Rock, South Carolina – November 13, 1883 New York, New York). American gynecologist who produced the first reproducible surgical cure of vesicovaginal fistula. He also developed the first post-coital test and performed the first artificial insemination. He additionally developed the speculum and patient position which bears his name.